Saho river flowing through Nara city. Fireplaces and cherry blossoms were famous here for a long time. It is said that aristocrats wrote it as a theme of poetry. The Japanese love cherry blossoms. 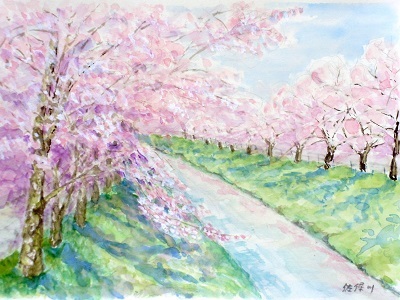 Even now it is crowded with many cherry blossom viewers when the rows of cherry blossoms along the bank are in full bloom.